ID number is DAPC5IB16C3. 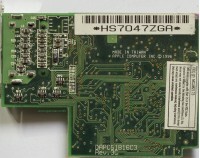 According to some polish site it could be part of PowerBook 1400 - optional module - used for video out or lan card. 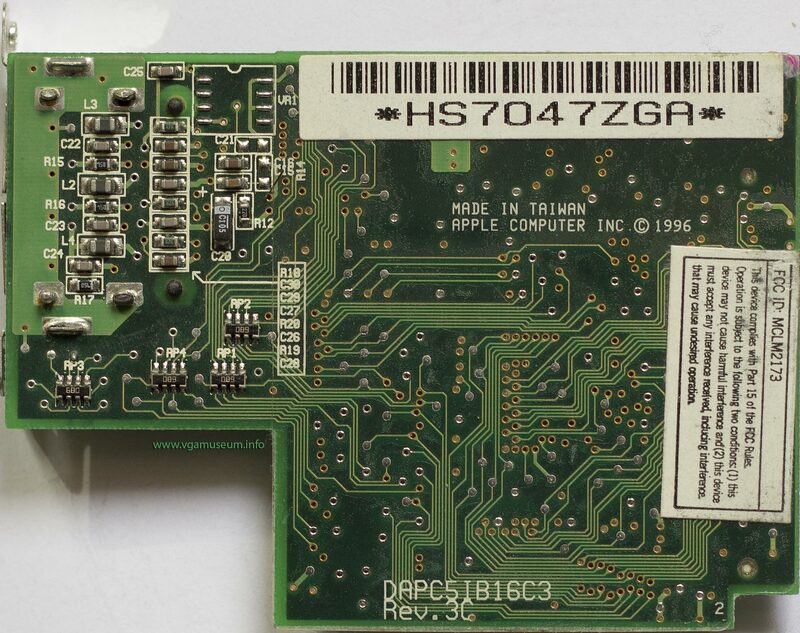 Looking for following info: exact model name of computer it came from, is it independent graphics card?, name of output connector, name of chipset, memory size, bus type. 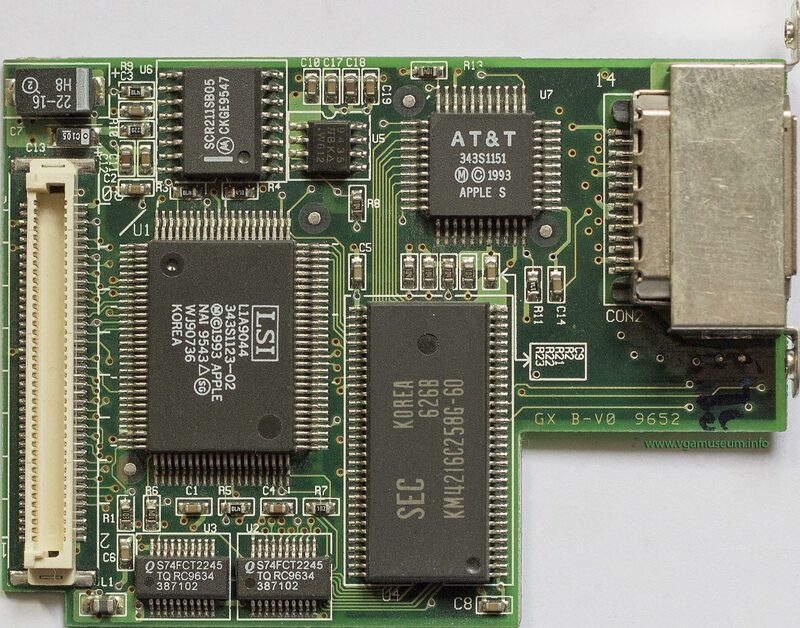 This is an 8-bit external video card for the 1400c and 1400cs, from what I can tell. I don't know if it fits other models. The RAM chip on-board is 256k x 16 VRAM, so it's good for at least 800x600 (one seller was claiming 832x624, a standard Mac resolution). 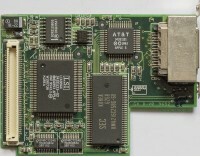 The LSI Logic chip is the video controller, an Apple-designed frame buffer chip called "Keystone". I imagine it's similar to the zillion other dumb frame buffer chips Apple made back in those days (and probably most similar to "Toby" from the original Mac II video card).